There is a better way to age. Mary Ann knows first hand that one of the most important keys to aging is to have an affordable Long-Term Care Insurance policy in place prior to retirement. There are many challenges that both you and your family will face as you get older. The risk of needing help with activities of daily living or supervision due to memory loss increases with age. Americans are doing many things to improve their health to gracefully get older. While we are not always successful, longevity is a major concern and impacts not only ourselves but our families and finances. Longevity itself creates physical and cognitive problems creating financial and family pressure. The facts are daunting. 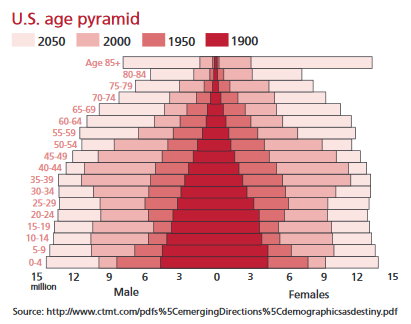 One in every five Americans will be considered a senior by the year 2030. By the year 2040, more than 14 million Americans will be 85 or older. This creates a huge potential crisis for the American family. The MacArthur Foundation reports the dramatic increase in life expectancy in the United States is one of the greatest cultural and scientific advances in our history. 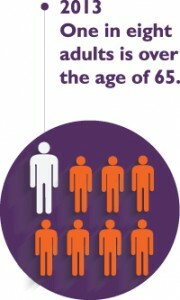 The Health in Aging Foundation reports one in eight adults are over age 65. They report as we get older we tend to develop health conditions. Over half of this group suffers from three or more chronic diseases. These include heart disease, arthritis, diabetes, cancer, and high blood pressure to name a few. Many of these people end up requiring help with normal activities of daily living. These are things we take for granted today, that we learned how to do as an infant, that at some point due to illness, accident or the impact of aging we will need help with. Those are things like bathing, eating, dressing, moving from one place to another, and bathroom activities. Don’t forget as we get older there is a higher risk of cognitive decline from Alzheimer’s or other forms of dementia. While long-term care services and supports impact many of us as we get older, the advances in medical science have created more younger people who require extended care services. AHIP says the need for long-term care services impacts people of all ages, not just for seniors. AHOP says approximately 20 million Americans each year under the age of 65 need long-term care services and supports to help them, and their families, deal with a serious illness, health condition or accident. AHIP is advocating Congress to take a few simple steps to encourage more people to plan for the financial costs and burdens of aging. As more people plan in advance it will provide more financial protection to American families and their future retirements. It will also protect welfare programs, like Medicaid, so they will be available for the truly poor. Allow employees to use “cafeteria plans” and “flexible spending accounts” to buy Long-Term Care Insurance (usually on a pre-tax basis). AHIP says by allowing Long-Term Care Insurance to be purchased under such pre-tax plans will make it even more affordable. The law already allows individuals to use pre-tax money in Health Savings Accounts to pay for these policies. Allow retirement plans to invest directly in Long-Term Care coverage. AHIP says this improvement will allow Americans to treat their Long-Term Care coverage like any other retirement plan investment. The impact on seniors’ tax revenue would be minimal because they would be using existing retirement plan savings to protect themselves from these expenses. Allow employees to make additional contributions to their Health Savings Accounts (HSA) to pay for Long-Term Care Insurance plans. This allows employees to save more pre-tax dollars to buy Long-Term Care coverage for themselves and their spouse. AHIP says by encouraging people to invest now to cover future health care expenses will likely save more taxpayer dollars in the long-term. The federal government also has several tax incentives available for some people. Some states also offer state tax incentives. Most states offer Long-Term Care Partnership plans which provide additional dollar-for-dollar asset protection. You can find what is available in your state, along with the current cost of long-term care services, by clicking on your state on the LTC NEWS MAP: https://www.ltcnews.com/resources/state-information. “By enacting these solutions, Congress can ensure that seniors are provided with an important pathway to health, independence, and financial security,” Coronel said. Experts say planning prior to retirement gives consumers more choices as well as much lower premiums. “This really has become a key part of retirement planning. Most people who contact me about Long-Term Care Insurance planning are in their 40s and 50s. While affordable options exist for those older, it really is your relatively good health, today, that gives you the ability to plan for the financial costs and burdens of aging,” said Matt McCann, www.mccannltc.net. a leading expert on Long-Term Care Insurance and planning. Today’s Long-Term Care Insurance is not only affordable but also rate stable. A new study completed by the American Association for Long-Term Care Insurance (AALTCI) says the chance of future premium increases for these products are very small. The AALTCI report, which surveyed industry actuaries, shows the confidence in the industry pricing models based on new regulation, interest rates, and underwriting expertise. “Many of my clients are addressing the need for long-term care planning while in their prime working years. They are happy to learn they can use their Health Savings Accounts (HSA) to further offset some of the premium cost each year. I know my clients with Flexible Spending Accounts (FSA) would love to be able to take advantage as well, so we would definitely look favorably upon any expansion to the existing tax incentives for Long-Term Care insurance.,” said Cassandra Watson, a Long-Term Care Specialist who runs NextGen Long-Term Care Planning. With, or without. Additional incentives from Congress and the White House, Long-Term Care Insurance provides essential protection and reduces the tremendous stress and pressure placed on family members as you get older. Experts remind us that caregiving is hard on loved ones and paid care will drain, or even wipe out retirement accounts and impact income and lifestyle. The AALTCI recommends working with a Long-Term Care Insurance specialist who represents the major companies in the industry. This way they can assist you with understanding policy design, underwriting and helping you determine if partnership plan is your best option. LTC NEWS can help you find a qualified specialist as well: https://www.ltcnews.com/contact. There are several types of policies available. A specialist can help you choose the best one which fits your specific situation. “This is not just good public policy. It provides key asset protection and peace-of-mind,” McCann added.